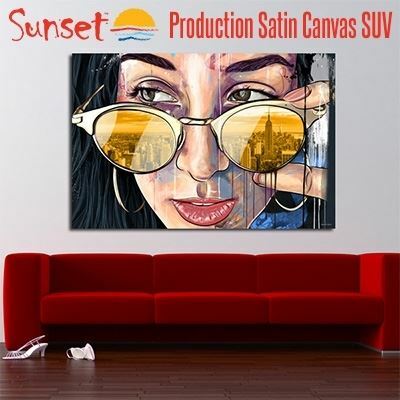 LexJet Sunset Production Satin Canvas SUV is the 100% polyester option for quality canvas prints in high-production environments. This U.S.-made product is a more cost-effective alternative to poly-cotton blends at the lowest price point in its class. Yet, it still has a high-end feel with the look of a traditional 2-over-1 poly-cotton weave, with no optical brighteners. This canvas performs well on all solvent, eco-solvent, latex and UV-curable printers, making it a highly versatile product that delivers consistent results for busy print shops and studios. It's also ideal for canvas wraps, with no cracking over stretcher bars. Domestically produced; Made in the USA! Printer/Ink Compatibility Optimized for use on all solvent, eco-solvent, latex, and UV-curable inks. Light Fastness The fading time of inkjet ink is a direct result of the inks you choose, as well as the environment where the print is displayed. Contact the ink manufacturer to determine a specific ink's suitability for a particular application. Handling Reccomendations Due to the absorptive nature of the coating, you should avoid touching the coated surface. It's always recommended that cotton gloves be used when handling inkjet coated materials. 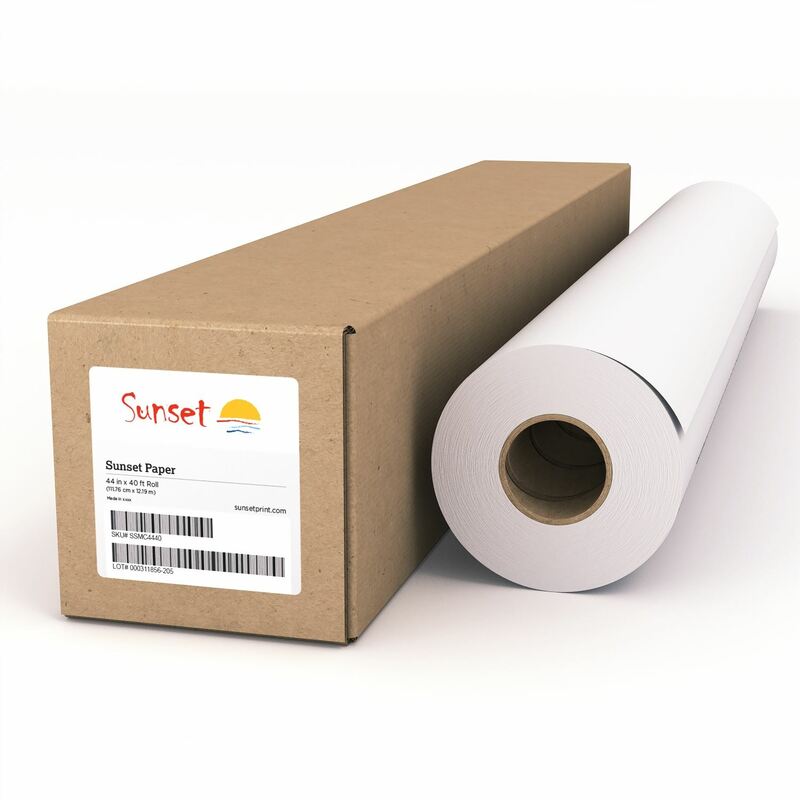 Rolls of LexJet Sunset media are supplied with the coated side facing out. Software Settings The coating on this product is engineered for better than 300% ink coverage. Any canvas fabric setting is the appropriate starting point. However, we recommend that you try different settings to achieve optimum performance for your specific application.